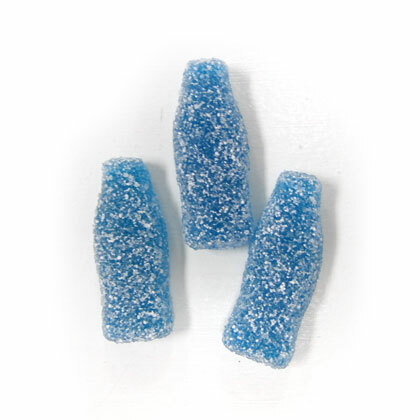 Blue raspberry gummi cola bottles covered in a sour sugar. Each bottle approx. 1.25 inches tall and 6 bottles per ounce. 9 ounce bag.